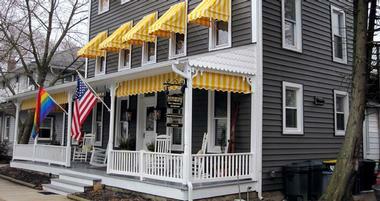 Visitors will find an eclectic mix of accommodations to match the diverse offerings of this tiny state. From the serenity and sculpted beauty of Longwood Gardens, the wildlife at Brandywine Creek State Park, and the gorgeous ocean views from Delaware's many beaches, the state has something to offer everyone. 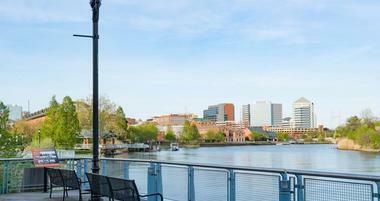 Wilmington is home to outstanding art museums, historic attractions and beautiful gardens. Plan a weekend trip to Rehoboth Beach to relax with views of the water and visit unique attractions. 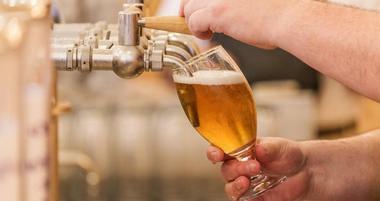 Delaware has become a haven for craft brewers and connoisseurs as it is home to many specialty breweries. The numerous parks throughout the state of Delaware offer both visitors and residents alike with opportunities to play outside, expand their mind, or try something new. Located in the state of Delaware, the small city is filled with buzzing Main Street excitement, calm lush green spaces, and historic structures which are filled with stories from the past. One thing you need to know about Milton is that it is one of the liveliest and most happening little towns within a 7-mile radius of the Delaware Bay. 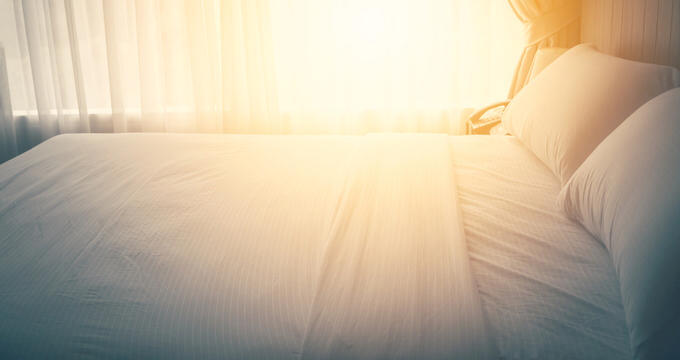 The Rehoboth Guest House, which operates out of Rehoboth, Delaware, is a bed and breakfast that is proudly gay owned and operated. The resort consists of over eight acres of property and is “pet-friendly,” even offering an on-site dog playground and amenities that cater to dogs and their families. Delaware may be the country's second smallest state but the small state is packed with interesting history, culture and beautiful natural attractions. Many of the state’s historical attractions are related to the prominent du Pont family which has been one of the richest families in the country since the 1800s. Many of the family’s estates are open to the public as museums. Delaware sits on the Atlantic Ocean and offers a stunning stretch of beachfront to be explored. Visitors will find a number of beachfront parks with areas for swimming and other amenities to encourage a fun day at the beach. In addition, the state offers a host of other attractions for visitors of all ages to enjoy. Winterthur Museum, Garden and Library is an estate and museum located in Winterthur. The home was designed by H.F. du Pont and was modeled after European country homes from the 18th and 19th centuries. Du Pont was a collector of European art and later became interested in American arts and collectibles. He amassed a large collection of American decorative arts and built the estate to house his collection, laboratories and offices. The museum has 175 rooms themed around certain time periods. Most of the rooms can be seen on small, docent-guided tours. The collection mostly covers the period of time between 1640 and 1860 and has many significant pieces of American art and furniture. The Nemours Mansion and gardens is a historical estate with a classical French mansion and French formal gardens spread across 300 acres in Wilmington. The mansion was built to look like a chateau one might expect to find in the French countryside. 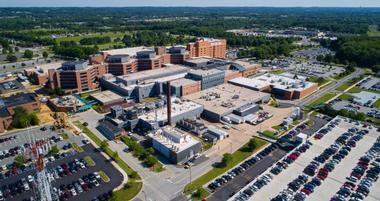 It features more than 100 rooms comprising almost 47,000 square feet. The estate was built by Alfred I. du Pont and is one of the many examples of du Pont family history in the state. The interior is furnished with rare 18th-century French furniture as well as antiques, tapestries and art from a range of time periods. There is a rare Louis XVI musical clock dating from 1785 and other significant pieces. The estate has the largest and most elaborate French formal garden in North America. Bellevue State Park is a 328 acre state park located near Wilmington. The park is named after Bellevue Hall which is the name of the former mansion of William du Pont Jr. Who built many of the park’s buildings and facilities. The park is located on the banks of the Delaware River and is open year round. Popular activities include picnicking at a table or pavilion in the park, strolling the grounds surrounding the historic home, or jogging the fitness track that circles the park’s fishing pond. There are other hiking trails and paths for cycling as well. Tennis enthusiasts will find eight outdoor courts that are well-maintained. In addition, the park also has a nice equestrian center. Brandywine Creek is a creek that runs into the Christina River in northern Delaware. The Brandywine Creek State Park protects and preserves a section of the creek and surrounding area. The park contains the state’s first two nature preserves: Freshwater Marsh and Tulip Tree Woods which preserves an area of tulip poplar trees that are almost 200 years old. The park has a large variety of birds, wildlife, beautiful wildflowers and other plants. There are 14 miles of trails which are popular for watching wildlife, photography and fitness. Fishing is permitted on Brandywine Creek and tubing and canoeing are also popular activities. Brandywine is a small zoo in a beautiful setting. The zoo has been operating on 12 acres in Wilmington since 1905. Its beautiful location on the banks of the Brandywine River makes for a beautiful location for viewing the approximately 150 animals that call the zoo home. Most of the zoo’s animals are native to the Americas and Asia. Animals you can see at the zoo include Andean condors, river otters, sandhill cranes and the largest rodent in the world, the capybara. There is also a petting zoo for children to get up close and personal with a variety of domesticated animals. 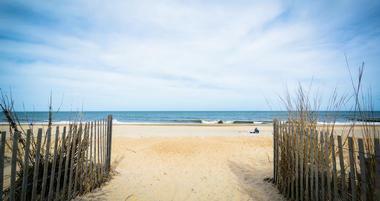 Cape Henlopen State Park is a popular beachfront park that occupies more than 5,000 acres on Cape Henlopen in Lewes. The area that is now the park was established as public lands by William Penn almost a century before the United States was founded in 1682. It became a Delaware State park in 1964. Visitors come here to enjoy the beautiful beaches and oceanfront attractions. The park has a 24-hour fishing pier that is open year round. 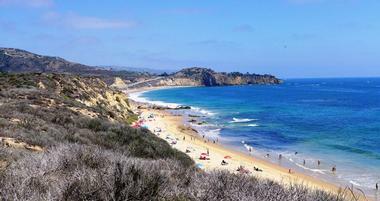 In addition there is a surf-fishing area, a bathhouse, disc golf course and multi-use trails. The beach at the park’s Herring Point is popular among surfers. The beach is open year-round with two open for swimming during the summer. For those who wish to spend the night, campgrounds are available. The Delaware Agricultural Museum and Village is an agricultural museum in Dover which showcases tractors and other farm equipment. Next to the museum is a 1890’s village with a barn, windmill and other interesting features. The museum was created to preserve the agricultural traditions of Delaware and the surrounding region and to teach current and future generations about how food was grown in the past. The main exhibit features technological advances that were made throughout history by Delawareans. The outdoor village is a representation of country life in the 1890s. Visitors can walk through the different buildings in the village and imagine how people used to live. The Delaware Art Museum is a small museum with impressive collections. The galleries feature several exhibits of pre-Raphaelite art, illustrators from the Brandywine school and a nine-acre sculpture garden outside. The museum has more than 12,000 items on display most of which represent the genres of American Art and illustration from the 19th-21st centuries. A large percentage of the museum’s collection comes from the works of American artist Howard Pyle and several of his students. There are special exhibitions each year as well educational programs and open studio hours for visitors who wish to have a more hands-on experience at the museum. The Delaware Children’s Museum is a riverfront museum with a wide variety of interactive exhibits designed for children. The museum’s exhibits focus on imagination, play, science, math and technology. There are seven exhibits spread over nearly 40,000 square feet of interactive space. There is a climbing exhibit, a Structures exhibit that teaches about architecture and engineering, an exhibit about how the human body works and an exhibit focused on the natural habitats of Delaware among others. Young children are especially fond of an exhibit called Training Wheels where kids are invited to explore a train, boat and car as they learn about transportation. The museum is suitable for children of all ages and has exhibits which will interest kids all the way from toddlers to teens. The Delaware Museum of Natural History was founded by naturalist and convicted murder, John E. du Pont. The museum stemmed out of Du Pont’s personal collection of birds, bird eggs and seashells. Du Pont’s uncle provided land in Delaware’s beautiful Brandywine valley for the museum and it was opened in the 1970s. The museum’s exhibits primarily focus on the ecology of birds and marine life. It has the second largest collection of birds’ eggs in the United States as well as particularly impressive collections of birds and mollusks. There are relatively new exhibits related to mammals, dinosaurs and the work of Charles Darwin. There is also additional exhibition and educational space which is used for special events from time to time. Delaware Seashore State Park is a state park near Dewey Beach. 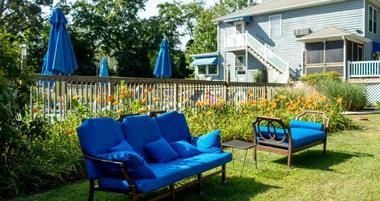 The park is tucked between the Atlantic Ocean and the Rehoboth Bay. 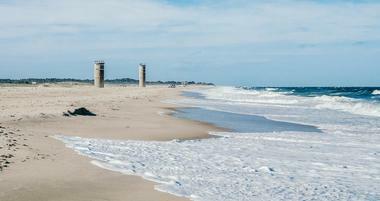 The park has 6 miles of shoreline on the ocean and offers swimming in two swimming areas and plenty of beach area for sunbathing and playing in the sand. There are bathhouses near each swim area and lifeguards patrol the beaches during the summer. Vendors offer concessions and rentals of chairs, umbrellas and other objects for enjoying the beach. Other popular activities are fishing, boating, riding four-wheel vehicles on the dunes, surf fishing, windsurfing and sailing. Some areas allow crabbing and clamming. There are also picnic pavilions, nature trails and campsites. The Delmarva Peninsula is a large peninsula on the Eastern Shore made up by a large portion of the state of Delaware as well as parts of the states of Maryland and Virginia. The peninsula has a distinct culture that matches much of what you would find in the Southern region of the United States. The area tends to be more conservative and rural than the rest of the region. There are also many restaurants that serve delicious Southern style cuisine and sweet tea. The residents also speak a unique dialect of English that is closer to what you would find in the South than it is to what is spoken in the rest of Delaware. It is beautiful year round, but is particularly nice to visit in the Fall. Fenwick Island State Park is a 344-acre park situated between South Bethany, Delaware and Ocean City, Maryland. The park was once part of the Delaware Seashore Park but was established as a separate park in the 1960s. The park has a variety of amenities that lends itself to being a great destination for visitors. There are beaches for swimming, surfing and relaxing as well as surf fishing areas, a boat ramp and boat rentals. To help make your visit to the beach more comfortable, there are picnic tables, restrooms, chair and umbrella rentals and concessions for sale. The park also has multi-use trails which are great for hiking or horse-back riding. First State National Historical Park is a national park that covers the history of colonial Delaware and the role the state had in the establishment of the United States. The state was the first to ratify the U.S. Constitution, which is what led to it being nicknamed “The First State.” The park has exhibits and structures related to the original settlement of the area by a variety of Europeans and their relationships with the Native inhabitants. The park has a 1730’s court house called New Castle Courthouse which is one of the oldest in the country. It also contains a historic sheriff’s house, the Dover Green, Fort Christina, Old Swede’s Church and several other historical sites. Funland is a beachside amusement park and arcade located along the boardwalk in Rehoboth Beach. The park has a variety of attractions for children and thrill rides for older visitors. The park has twenty rides with something for each member of the family. There are classic rides such as a carousel as well as more adrenaline-pumping, modern rides such as Freefall and Superflip 360. There are six rides that the park considers “major rides” and are appropriate for older guests while 14 of their rides are designed for younger visitors. There are a number of midway games for both kids and adults as well including a Duck Pond and Skeeball. They have a great arcade that still issues paper tickets instead of points on a card, preserving the nostalgia of arcades of yesteryear. The Hagley Museum and Library is a non-profit museum, library and educational center located in Wilmington. The grounds include more than 235 acres of riverfront property along Brandywine Creek. The first du Pont Family home and its surrounding gardens in the United States are located here. The property also has powder yards and a machine shop dating from the 19th century. A bit down the hill from the main museum is a Renaissance-revival style garden that was built in the 1920s and features statues and beautiful terraces. The museum has exhibits related to American history and the early industrial era as well as the history of the du Pont family, their company, explosives, gunpowder and more. Holts Landing State Park is a state park occupying more than 200 acres near Bethany and Rehoboth Beaches. The park occupies land which was once the Holt Family Farm. The park lies on the southern side of Indian River Bay and includes a section of the shoreline. The park is a year-round attraction but is particularly popular in summer. Crabbing is one of the most popular activities at the park. The park has the only purpose-built crabbing pier on the east coast of the state which was specially built for the harvesting of blue crabs. Fishing and hunting are also popular activities as are boating and kayaking on the bay. There are several trails, three campgrounds and an abundance of wildlife in the park. The John Dickinson House which is known to many as Poplar Hall is a home on the John Dickinson Plantation in the town of Dover. The property is owned by the state and is open to visitors as a museum. The plantation was the home of wealthy Quaker tobacco grower and merchant, Samuel Dickinson and later his son, John Dickinson who played a key role in the establishment of the United States. The property has a Visitor Center with exhibits related to John Dickinson’s life as well as the plantation’s history. Visitors can tour the plantation with the help of docent guides dressed in period costumes. Jungle Jim’s is a water park known for its exciting giant water slides, bumper cars, go-karts and a plethora of other family-friendly attractions. The park is open seasonally, during the warmer months. The water park has a wave pool, lazy river and several large water slides. For youngsters, there is a kiddie pool and splash pad that is sure to keep your kids entertained for hours. There are two miniature golf courses with life-like obstacles as well as batting cages for those who need a break from all of the fun in the water. The park has a cafe with reasonably priced food and a shop that sells Jungle Jim’s merchandise as well as sunscreen, towels and other items you may need during your visit. Lums Pond State Park is a park surrounding Lums Pond near the town of Bear. 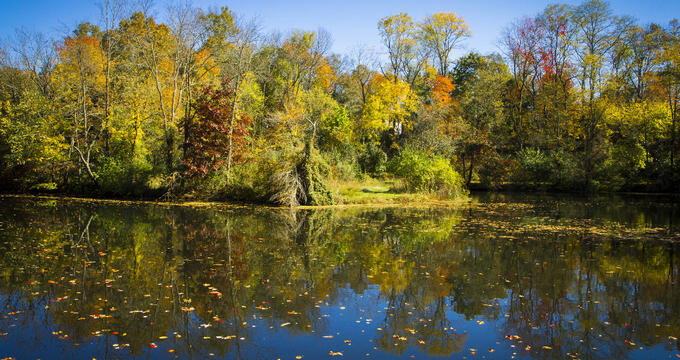 The pond was built to supply water to the locks of the canal that once connected the Chesapeake Bay with the Delaware River. It is the largest freshwater pond in the state and occupies approximately 200 acres. The majority of the recreational activities in the park center around the pond itself. Swimming is prohibited, however boating, paddling and fishing are all popular. There are a large number of primitive campsites, a few electric sites and two yurts that can be rented. The park has a network of trails that are open year-round for hiking, cross-country skiing, horseback riding and snowmobiling. Prime Hook National Wildlife Refuge is a migratory bird sanctuary occupying approximately 10,000 acres on the western shore of the Delaware Bay near the town of Milton. The refuge has several different habitats including both fresh and saltwater marshes, grasslands, ponds, woodlands and forests. Approximately 270 different species of birds and a number of other animals are known to live in the refuge. The park is open to visitors for wildlife-related activities. There are walking trails, a paddling trail and a visitors center. Visitors can observe wildlife through the refuge’s bird blind and several other specially designated areas in the park. The Delaware Contemporary, which is the shortened name of the Delaware Center for the Contemporary Arts is the only contemporary art museum in the state. The museum is located on the banks of the Christina River in Wilmington. The museum was created in 1979 by a small group of artists and fans of the arts. Its focus is on promoting the contemporary arts movement in the state. The museum is a non-collecting museum and each year presents approximately 30 exhibitions of local, national and international artists. The museum also promotes and hosts a variety of educational events and programs each year designed to encourage the growth of the arts in the community. 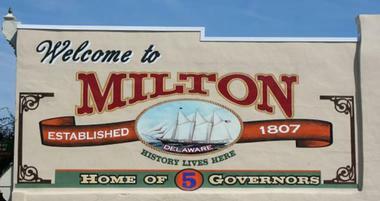 The first European settlement in the state of Delaware was called Zwaanendael. It was a short-lived colony established in 1631 by the Dutch. The site of this original settlement later became the town of Lewes. The Zwaanendael Museum in Lewes was established on the occasion of the 300th anniversary of this first settlement. The museum is modeled after the State House in Hoom, The Netherlands. The building features many elements from 17th century Dutch architecture. The exhibits inside the museum tell the story of the history of Sussex County. Exhibit topics include shipwrecks, lighthouses, the bombardment of the town of Lewes in the War of 1812, the ever-shifting Delaware coastline and other aspects of local history and culture.